This statistic represents a ranking of the countries with the largest Twitter audiences as of July 2018. 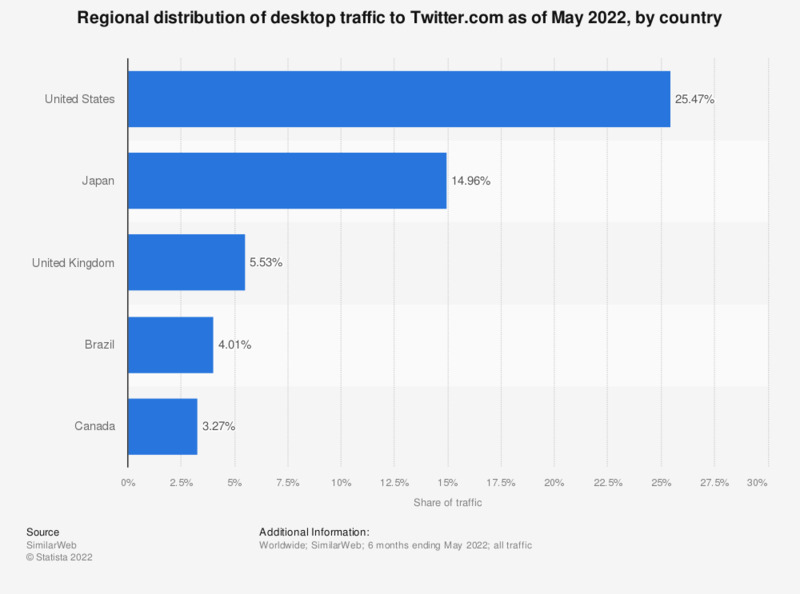 During the measured period, the United States accounted for 18.9 percent of Twitter audiences. Japan was ranked second with a 14.6 percent share.